In the social sciences, we all love a good case study. So what better way to round off this series of articles and draw together our economic musings on the Potterverse than with a study of (arguably) its greatest economic success story? Now, before there is a furore over the implication that Voldemort is ‘good’, let me define my criteria for success. I’m talking about success in the strictly economic sense, which we could define as the ability to better your socio-economic position against difficult odds and institutional bias. Voldemort was able to do that; he was born in an orphanage, and by the end of his career he was the most powerful wizard in the world, effectively in charge of the Potterverse. For the record, I also think the Weasley Twins are economically successful too, through the development of their joke shop (discussed in Article 3). And undeniably Harry is perhaps the epitome of ‘all-round’ success; magically competent, slayer of Voldemort (no ‘biggie’) and from what we know of his later life, professionally esteemed too. So there are clearly economic lessons to be learnt from the rise of Voldemort, despite his manifest evilness. How did he make it? How did he gain support? How did he game the system? All these questions, despite his evident evilness, can help teach us about how we can build a society that encourages social mobility, maintains freedom of speech and prevents tyranny. These are key questions in today’s society as much as they have ever been. Why the Dark Lord, and not Barty Crouch? Voldemort was a talented wizard. We learn this in the Half-Blood Prince (Book 6) when Dumbledore recounts a visit to the orphanage where young Voldemort (real name, Tom Riddle) lived. The future mass-murderer is able to move objects without needing a wand and to command animate beings, such as small animals, as he wishes; things which your average wand-toting student can’t do. So Voldemort was gifted, and he presumably could have pursued that gift in any direction (although in the books, Rowling implies an ingrained malevolence in Tom Riddle, which probably makes the future Dark Lord more credible). As we discussed in Article 3, though, the Potterverse is skewed against outsiders through the active preservation of the societal status-quo. In part this is due to pre-existing prejudices; wizards seem generally afraid of socio-economic change and so are not too concerned with economic growth or the emancipation of minorities such as house elves. The chief consequence of a static society is that it reduces the pobability that fresh talent and ideas will come to the fore. Logically if it is not encouraged, and is in some cases actively repressed (witness Hermione’s Elf-right’s campaign), it will not grow. This means that there is less competition at the top; to break through and be talented, you don’t need to do very much. In other words you just need to be marginally better than everyone else, in an area where you have a comparative advantage (thanks Ricardo!). The implication here is that Voldemort wasn’t actually the greatest wizard of all time; rather that he was marginally better than his peers during that particular period, and had the capability to ‘cash in’ on his magical comparative advantage without requiring societal support. There’s no reason why Barty Crouch, or anyone else for that matter, couldn’t have been as talented; it’s simply that the social structure they required to discover their skills was inadequately equipped to enable this. 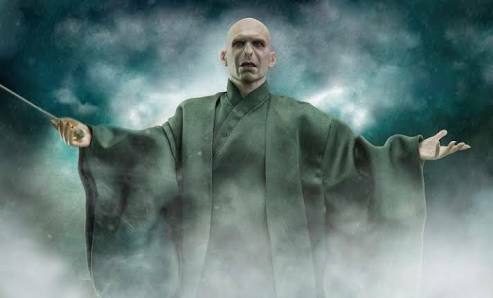 So having looked at how Voldemort was a bit better on average than everyone else; how did he manoeuver his way to the top? By definition he wasn’t one of the elites, like Minister Fudge or the Malfoys. He had no apparent economic power, and the financial system didn’t offer adequate funding (in part due to wizards’ distrust of finance, but you’d also hope that Gringotts had robust KYC policies!). This meant he needed to recruit acolytes, preferably rich and powerful ones. This he did with success; the Death Eaters are a rich and privileged gang, ranging from the mercenary Lucius Malfoy to the die-hard Bellatrix L’Estrange. All have a vested interest in preserving the status quo. Voldemort also benefitted from a stagnant government, which was unable to counter a significant internal rebellion due to its unclear decision-making and review powers (Article 4). The general feeling of terror that swept the wizarding community upon Voldemort’s return is in part a comment on the trust people place in their government to address threats to society. What’s next for the wizarding world? There are laudable aspects of the Potterverse economy; universal, high-quality education for example. However much remains unresolved, stagnant economic growth, an underdeveloped financial system and lack of effective debate both in society and government to name a few. All this contributed to an unacceptable period of social instability, culminating in a terrorist’s successful seizure of power which need not have happened. Voldemort was un-exceptional; yet it was the un-exceptionalness of wizarding society that allowed him to flourish. This series has taken a (hopefully) tongue-in-cheek look at the economics and sociology underpinning the Potterverse. Of course, we couldn’t examine everything in depth, and it is still a fascinating world with many similarities to our own that could be explored further. Thank you for reading this far, now time for me to disapparate! Poponomics at One Young World 2016! How Can Apple Save The iPod?